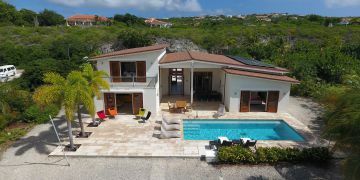 On the shoreline of one of the most sought after areas of Bonaire, this villa is unique in its location, its lay-out and the quality of construction and finishing. Seated at the covered terrace, one can enjoy the mesmerizing views over the Caribbean Sea. 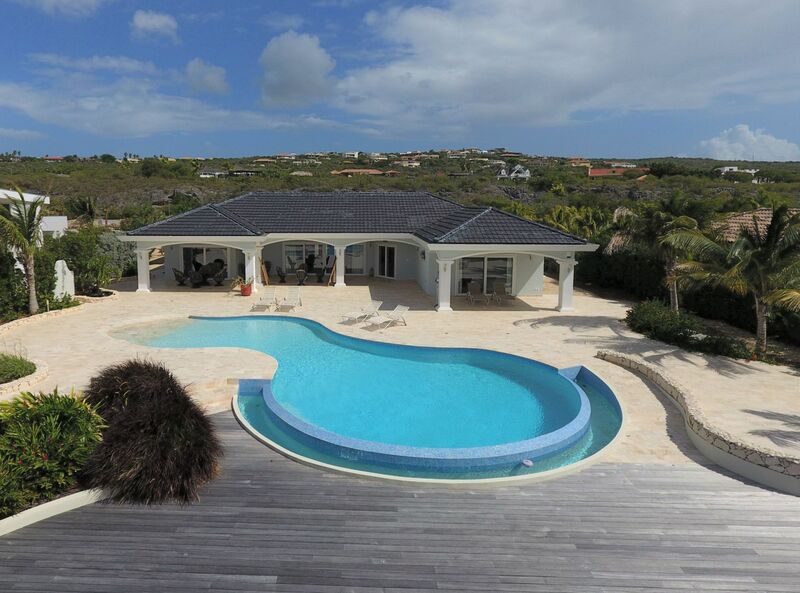 This magnificent villa is your private retreat away from the daily life. 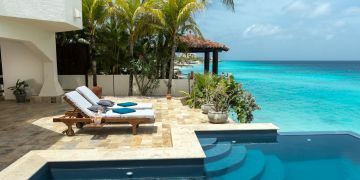 The seafront is your signature area with its unique, negative edge saltwater pool, the covered gazebo and the easy stairs leading down to the beach of Andrea I & II with world class diving and snorkeling. Substantial white coated aluminium window frames and sliding door frames with thermopane glass panels (shatter proof) and tilt-and-turn system (manufactured in Germany). Mosquito screens throughout. Entrance via hall way, wide living room with sliding doors to covered terrace, designer kitchen with sliding doors to covered terrace, hallway to mastersuite with walk-through clothing closet and ensuite bathrooms separately for him and her, two guest bedrooms with two ensuite bathrooms, hallway to third guestbedroom with ensuite bathroom, guest bathroom, laundry room, garage for two cars. Rain water cistern (60,000 liters). Registered at the Land Registry Office Kadaster, number 4-A-1547 & 1624 & 1826.